The painter, draughtsman and illustrator Hendrik Müller in Halfing, Chiemgau, has devoted himself to ’72STAGPOWER racing cars for two years. 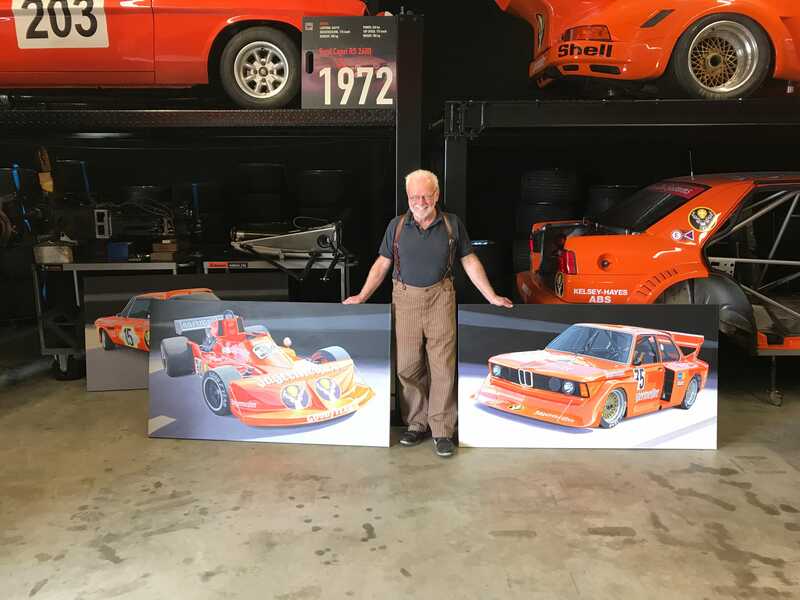 Our photo shows the artist with two finished paintings of the March Formula 1 and the BMW 320 in ’72STAGPOWER’s workshop in Braunschweig. On this occasion, Hendrik Müller’s visit was in connection with the 956 and 962 Porsches, which he photographed and will now also portray the fireballs on canvas with the usual perfection in his own studio in Bavaria.